Maplewood Warmbloods was a barn that originated in Michigan. My love of horses started when I was 4 years old. I competed in many disciplines but had an attraction to the sport of dressage and the handling of horses in general. I was an automotive engineer while following my dream with horses. I Incorporated in 2004 and in January 2007 moved the facility to the current location in NY and found some amazing people to work with who agree with the ideas and goals. 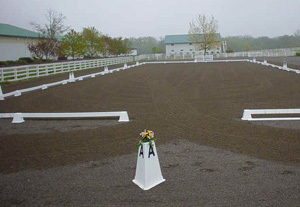 MWW focuses on the boarding, breeding, and training of the dressage horse. We believe in a team orientated environment, free of judgement and prejudice. It is an open training facility (no resident trainer or trainer owned). We all benefit from this and are in turn able to fully study the sport. We believe correct dressage is a tool that makes any horse better. 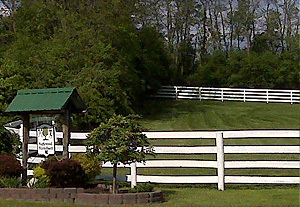 Maplewood Warmbloods is a 60 acre facility with 50 12×12 stalls. Currently we care for 28 horses. We have gone to extensive lengths to provide top quality flat grass-filled paddocks, top feed, top events, top customizeable/consistent care, as well as the top training environment. Our dust free environments, meticulous tracking of care, and constant continuous improvement make us stand out as a facility. The very low requirement of veteranary visits makes us stand out as a staff. SmartPaks are a facet of that meticulous care. Horses are not “cookie cut”. Each horse has what works for them. We understand that very well. With SmartPaks, we don’t have to measure supplement amounts or have checklists to make sure what needs to be provided is. The customer or staff can make adjustments as needed. We also love the option to have AM and PM supplements depending on the needs of the individual horse. Efficiency is part of what makes us great at what we do. Consistency…key to success. SmartPaks help make that possible.